Southern Utah is abundant in natural beauty. With so many scenic areas, it can be hard to visit and appreciate them all in one trip. If you haven’t already, plan to hike the Grand Staircase-Escalante National Monument during your trip to Southern Utah. These trails lead hikers to one of the most stunning places in the state and offer a fun daytime activity for the whole family! To learn more about great places to hike, visit, and dine, be sure to download a copy of our complimentary Southern Utah Vacation Guide. An excellent tool to get to know the area, this guide is packed with local suggestions and information on events, attractions, and more. Get your copy today! The Grand Staircase-Escalante is a massive, stunning sight, which offers a range of hiking trails for people of all skill levels. You can choose to embark on a shorter, more accessible route if you’re not an avid hiker, or challenge yourself with one of the more difficult paths to the top. For a unique hiking experience, you can sign up for one of many guided tours through the area, during which a professional guide will lead you through the area and share his or her culture and historical knowledge. Some of the most popular trails to try out include Zebra Slot Canyon, Spooky Gulches, and Coyote Gulch. For many families, the Lower Calf Creek Falls is a fun and easy place to start. If you’re looking for a place that the whole family can hike, the Lower Calf Creek Falls trail is perfect for hikers of all ages and skills. Named after the area’s history as a calf pen in the late 1800s and early 1900s, the trail is less populated than some of the other routes. This is the perfect path for a self-guided trek through the more flat sections of the region. Though this trail is great for beginners, it is a bit lengthy—six miles roundtrip. Bring a lot of water and snacks as it can get very hot during the day. Along the path, you’ll pass sandstone cliffs, beaver ponds, and prehistoric rock art. The journey is beautiful, but the final destination is truly breathtaking. The trail ends at the Lower Calf Creek Falls, a 126-foot waterfall that cascades down the cliff. You can even wade in the pond created by the falling water before heading back! Stay in a Family Time Cabin or Home Nearby! is closest to all the attractions you want to see during your trip! 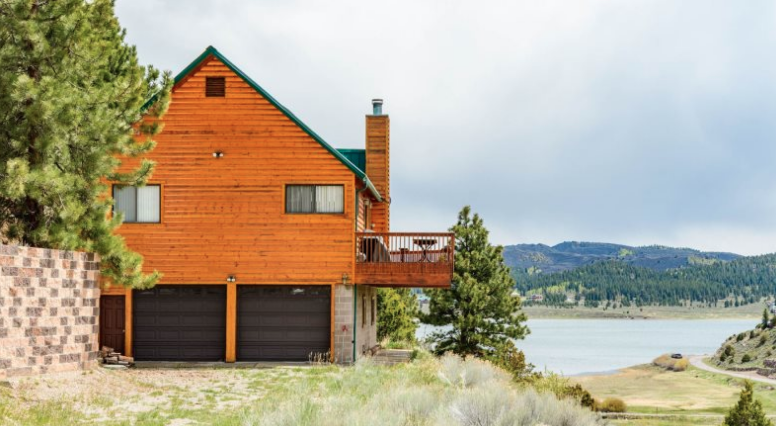 If you’re traveling with multiple families or a large group of friends, this cabin on Lake Panguitch in Panguitch, UT, is the perfect property. With room for up to 12 guests, the cabin is only 45 minutes from the Grand Staircase-Escalante National Monument and features a view of the mountains from the deck, a fireplace, and a large kitchen. What to See on Highway 143 in Utah — Have the Best Day of Shopping in St. George, Utah!